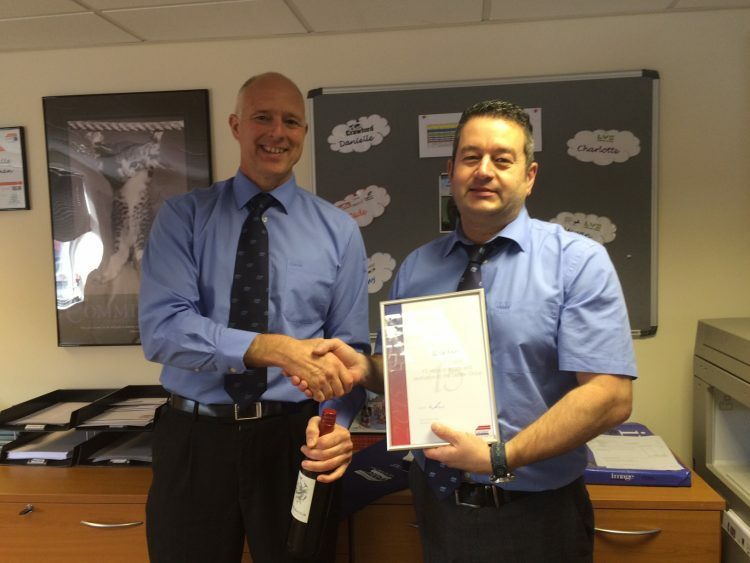 Chris Kent receiving his award from Steve Gelder, CEO. Chris is one of our unsung hero’s, he works tirelessly for the company and has built a great team around him. Congratulations, Chris, and thank you for your hard work, dedication and loyalty.